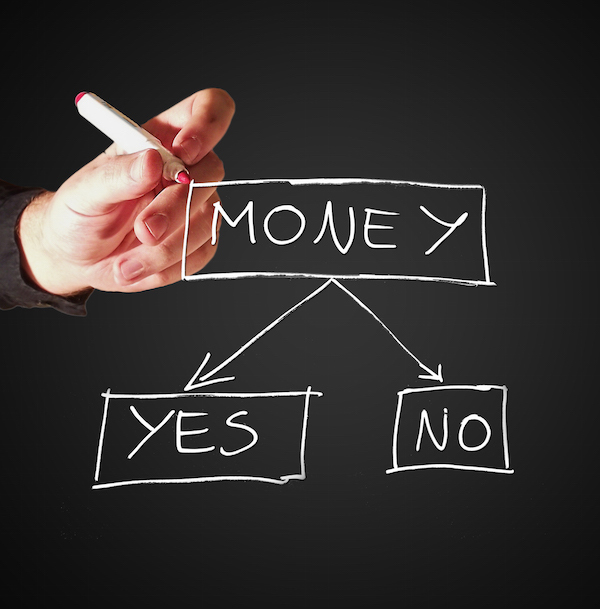 If you need funds for your business operations, there are many choices available. Sources include debt funding and equity and investors. Let’s discuss a few below. Bootstrapping is a type of self-funding where the business funds itself. The business will continue to throw off cash as it grows and this, in turn, helps the company grow even further. One owner got the funding by bootstrapping his business. After analyzing the books and sales, we believed the sales in the pipeline would support his planned expansion and growth. The business owner didn’t need to find outside cash to expand nor did he need to sell a part of his company. Another type of self-funding occurs when entrepreneurs or business owners use their own money to fund their business. They can use personal debt from a line of credit, credit cards or a second mortgage or cash from personal savings. These business owners can also sell personal assets such as a boat or a second home to generate cash for the business. Some cash-strapped business owners will turn to family and friends. These can be a source of both equity or debt funding. Businesses can fail and if your family or friends end up losing money, it can cause hard feelings and ruin friendships. Before selling any part of your business to a group like this, be sure everyone involved completely understands the risks and is okay with the possibility of losing their investment. Angel investors can be a great source of cash for a business owner. These are usually affluent people who enjoy investing in up and coming businesses. Today, many angel investors are creating investment groups instead of investing individually. These groups help spread the risk, while the investors can work together on research and possible investment opportunities. Crowd funding is a relatively new concept. There are investment groups who provide business owners and entrepreneurs an opportunity to pitch their ideas to these investors over the internet. If an idea is selected for investment, there will usually be multiple investors involved with each contributing funds for the investment. Adding a partner who is willing to invest in the business in return for part of the profits is an option for funding. The partner may become an employee or may remain outside the business as a silent partner. The business can often benefit from strategic partners who help align resources and funding. Using venture capital can be a good source of funding. It is important that business owners or entrepreneurs understand venture capitalists often expect a controlling interest in the company in exchange for a hefty initial investment. Crowdfunding is a relatively new source of funding and operates completely online. Most projects are web-based and entrepreneurs can reach thousands of potential investors and try and convince them to invest in their idea or business. Crowdfunding deals can be equity, debt or rewards-based funding. Crowdfunding platforms and each operates a little differently. There is a myth that small business owners can’t get funding. This isn’t true. In fact, most lenders are interested in working with small businesses. You may need to secure the loan with some type of assets and your interest rate may be high, but you can get a loan. Be very careful when considering a loan like this. One owner, we spoke with told us about a short-term loan he was offered. The loan has a three percent interest rate for a 30-day term. We pointed out to him that this meant an annual interest rate of 36 percent for the loan not the three percent annual rate he had expected. SBA also has small business loans, but these loans usually require some type of guarantee of repayment. This helps small businesses find loans through traditional lenders. Your own property can be a way to get a loan – you can remortgage and use it to fund the cost of your venture, or if you wish you could even sell your house to 713 Property Buyer and use the money for your efforts. Another possible source of cash is through a traditional bank. These banks will often make small business loans, but usually want the business to have a successful track record and will require security for the loan. These are just a few of the major ways to fund a small business. There are much more, but we can’t cover them all here. With persistence and a good business plan, you can find funding for your business.